1/1, 1938-1941 (?). 50 pp., mimeographed and stapled. 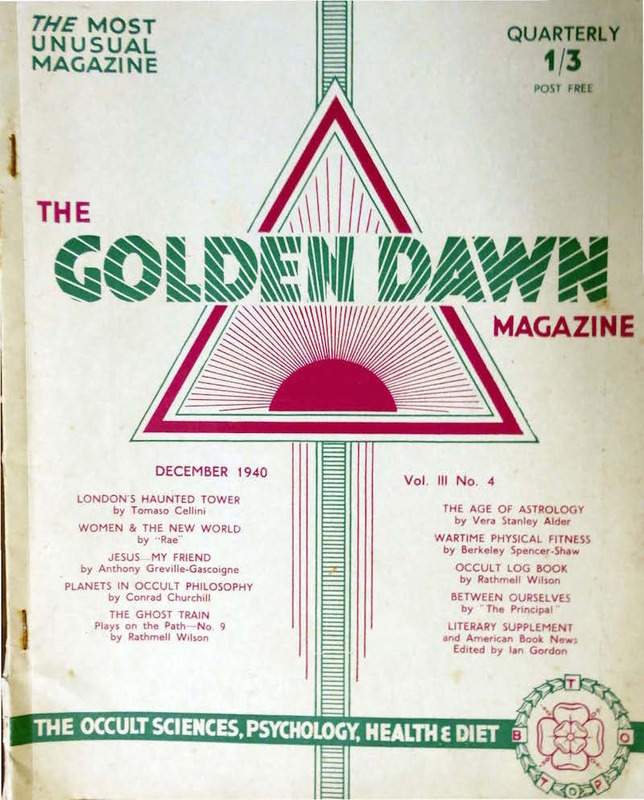 Although the issue for December 1940 celebrates its tenth year of publication, the journal, at least in this form, was begun in 1938, apparently close to the beginnings of the obscure Brotherhood of the Path ("T.B.O.T.B.") which published it. The brotherhood seems to have mined the Golden Dawn rituals and those of Aleister Crowley to create a three-year mail-order course in occultism that, by its own account, was very successful. The group also sold Chinese herbs and other health items. Contributions by the likes of the astrologer Vera Stanley Alder, Ian Gordon, Rathmell Wilson, "Rae," and Tomaso Cellini, with occasional offerings by the likes of Rene Guenon (of all people), Manly P. Hall, Israel Regardie, and Hereward Carrington. Adverised in Aries Quarterly, March 1938. Warburg, Yorke Collection; 3/4, December 1940, Skidmore, Lily Dale.